This is not the beach. But it is certainly the ocean. The Pt. 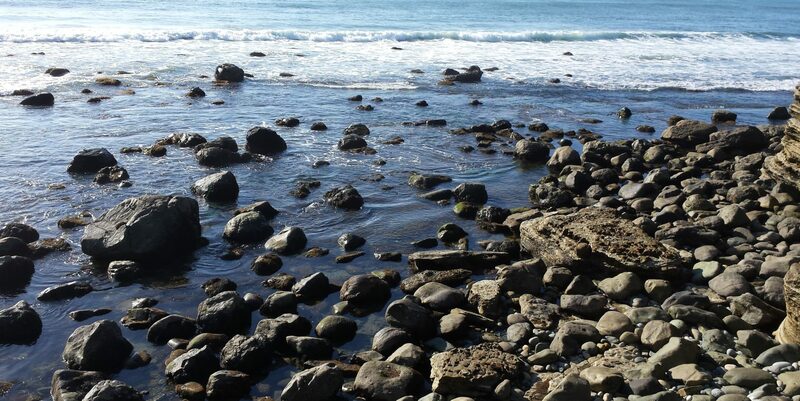 Loma tide pools are a rich source of pleasure and wonder. Today we saw anemones, hermit crabs, snails, and a sea star. And that was in just twenty minutes, for we arrived just before the park closed. I got my feet wet. The water is plenty warm, so from now on, it’s water shoes. It’s really freeing to walk in the shallows without having to keep an eagle eye on the tides. (Once I was wet, I was far less careful!) 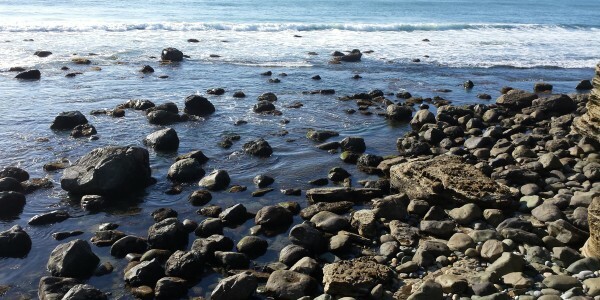 There are lots of broad shallow piles of rock to climb on, and a nice trail leading down to the tide pools. The low tide season is nearly over. The view from there is quite glorious. And we arrived home just in time to pull over to the side of the road and watch the last minute of sunset. And we had brunch on the patio. So much more time outdoors than I’ve spent since childhood!